There are a number of potentially dog-safe human medications that you can use to help your pet in a variety of situations. 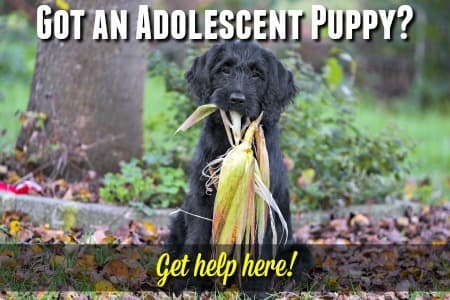 But it's important to know that your dog's age, breed, health and current medications can all be risk factors when you give something which has not been prescribed (or recommended) specifically for your pet. So, although the following OTC products are generally considered safe for dogs I'd strongly recommend that you ALWAYS check with your vet before administering them. Getting the dosage right is also hugely important. A human dose will not be right for your dog. Dogs can also vary in size very significantly and dosage is often calculated in mg per pound of body weight. Having an accurate weight for your dog makes dosing easier and safer. However, I'd like to repeat that you should ALWAYS consult your own veterinarian before giving your dog any type of medication, supplement or remedy that has not been specifically recommended or prescribed for him/her. 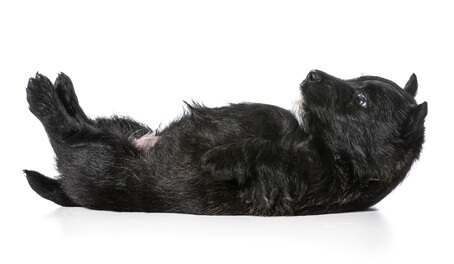 Tummy upsets are very common in dogs, and there are several human medications which can be used safely to treat things like diarrhea, gas, constipation and more. The stool softener Miralax can be used to relieve occasional constipation in dogs. It works by pulling water into the stools and softening them so that they pass more easily. 1tsp per 50lbs of body weight, once per day. Mix into your dog's food... adding canned food to dry kibble or softening the dry kibble with warm water before adding Miralax is recommended. Overdose can cause severe diarrhea and digestive upset. Dehydration then becomes a concern. Do NOT give Miralax (or any other laxative/enema) to a dog who has chronic constipation or is showing signs of pain or discomfort, get an immediate vet evaluation instead. Pepto Bismol is mainly used to treat diarrhea but can also treat nausea, over-acidity and other minor tummy troubles. It is generally safe to give to your dog once or twice, but can occasionally cause bleeding in the digestive system so it's very important to check with your vet first. Pepto-Bismol dosage for dogs: 1 tsp every 6 to 8 hours. Administer using a oral syringe or you can mix it into a small amount of canned food if necessary. If you don't see improvement after three doses (ie within 24 hours), if symptoms get worse, or your dog seems to be in pain get him examined by a vet right away. Overdose can cause vomiting and/or diarrhea (which may contain red, or dark/black blood), weakness, change in breathing pattern. Pepcid AC is an OTC antacid which reduces stomach acid, relieves heartburn and can help prevent inflammation, damage or ulcers in the digestive system. It is considered safe for short term use in dogs, but as always, there are contra-indications and you should always check with your vet first. ** Choose Pepcid AC Original, not Pepcid Complete as it is more effective and has a single active ingredient. Pepcid AC dosage for dogs: 0.25 mg - 0.5mg (max) per pound of body weight, given either once or twice per day (at 12 hour interval). The recommendation is to give this medication without food so that is is absorbed properly and can reach maximum efficacy. Tagamet, Zantac and Prilosec are three more antacids which are generally safe for use in dogs. Each of these three products have a different active ingredient. They are all recommended by veterinarians for dogs from time to time, but ONLY your vet can determine whether or not they are safe or appropriate for your dog. All have possible side effects which should be researched thoroughly. Tagamet dosage for dogs: 3mg - 5mg per pound of body weight given every six to eight hours. Zantac dosage for dogs: 0.25 - 1.0 mg per pound of body weight given every eight to twelve hours. Prilosec dosage for dogs: 0.25 - 0.5 mg per pound of body weight, given once per day. Imodium is a medication designed to relieve diarrhea... mainly due to the fact that is is an opiod and opiods are known to cause constipation. It is generally considered safe to use in dogs, for short term relief of occasional diarrhea (which has been determined by a vet NOT to be caused by an infection or disease requiring treatment). However, some breeds should NEVER be given Imodium (or any medication containing Loperamide) as it can cause serious adverse reactions. 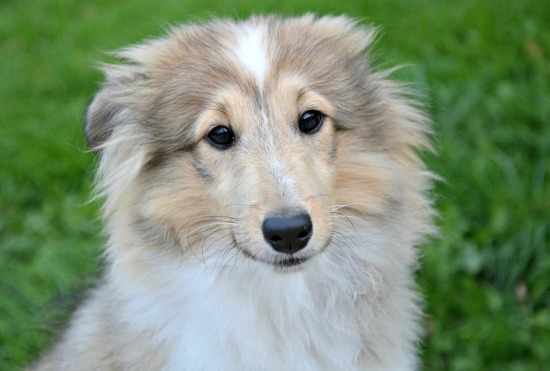 Also the long-haired Whippet is at risk from this drug. Check with your vet to make sure your dog is a safe candidate for Imodium use before administering it please. Dramamine is basically an antihistamine and can be give to dogs to treat motion sickness by relieving nausea. It is also has a sedative effect. It can also be used to treat dizziness/vertigo in dogs, from conditions such as Dog Vestibular Disease. Commonly recommended by vets for both these situations, but as always, check with your vet before giving any drug to your dog. Dramamine works best if you give it to your pet 30 minutes to an hour before you set off in the car, this gives it time to kick in. There is more than one Dramamine formula, and each requires a different dosage. For Original, Chewables & Childrens Dramamine formula (which contain Dimenhydrinate) recommeded dosage is 2.0 - 3.5 mg per lb of body weight, given up to three times per day. The All-Day Less Drowsy Dramamine formula which contains Meclizine is not weight dependent. Recommended dosage is 25mg given ONCE per day. ** Benadryl can also be used to treat motion sickness in dogs. See below. Dogs get allergies just like we do. In fact it is a growing problem for our four-legged friends. Canine allergies can be caused by food ingredients, parasites, topical and seasonal, indoor/outdoor triggers. There are a range of medications which can be used to treat allergies in both humans and dogs. Benadryl is an antihistamine and one of the most commonly used OTC allergy medications. It contains the active ingredient Diphenydramine (a slightly stronger form of the active ingredient in Dramamine). Benadryl is considered safe, and often recommended by vets, to control the intense itching and inflammation associated with canine allergies. It can also be used to treat motion sickness, and as a mild sedative for use in certain dog health conditions, and for minor allergic reactions to vaccination. Side effects are similar to those of Dramamine and include dry mouth, loss of appetite and possible vomiting. Benadryl dosage for dogs: 1.0 mg per pound of body weight, given twice per day. Claritin is another widely used antihistamine used to treat allergies in humans, and it is a popular choice for vets when treating pets with allergies too. Active ingredient is Loratadine which is good for treating itching and skin irritation causes by allergies and minor allergic reactions (such as hives) to vaccination. DO NOT give Claritin-D formula to your dog. The decongestant component (Pseudoephedrine) can be fatal for dogs. Claritin dosage for dogs: 0.12 mg - 0.22 mg per lb of body weight, given once a day. Zyrtec is another popular dog safe human medication which can be used instead of Claritin to treat your dog's allergy problems. Zyrtec dosage for dogs: 0.5mg per pound of body weight, given once per day. Corticosteroids are a type of hormone which can either be produced naturally by the adrenal gland, or manufactured synthetically. In this case we're talking about the man-made, synthetic formulas which are used to treat dogs, most specifically Prednisone. Corticosteroids for dogs can be ingested or injected, as well as being applied topically in sprays, drops or creams. Many forms are available by prescription only (tablets, injectables) but creams/sprays/drops for topical use can be found OTC (over the counter). Prednisone is used to treat inflammation and swelling in dogs (and people of course). Dosages depend on the type of corticosteroid being given, and the condition it's being used to treat. Side effects of Prednisone can include unusual and increased hunger, behavioral changes, panting, increased thirst and more. Prednisone dosage for dogs: Your vet will give you detailed instructions for dosage when prescribing Prednisone for your dog. ** Hydrocortisone is a topical corticosteroid which is used to reduce swelling and inflammation of the skin. 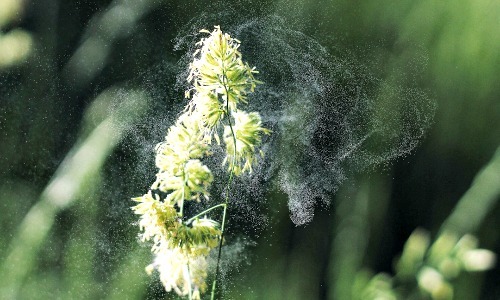 It's especially useful for hot spots, itching due to allergies and such. To get an idea of the range of hydrocortisone products available for dogs CLICK HERE. 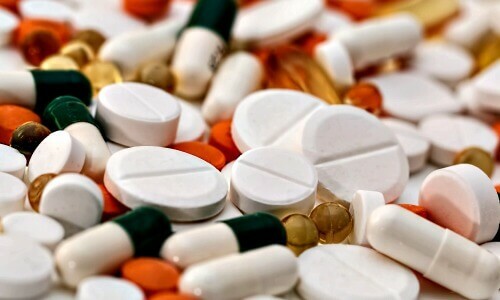 Many painkillers are used for both people and dogs. Some by prescription, others over the counter. You should never give your dog any medication (human or otherwise) without consulting with your vet first, this of course to pain killers. It's always vital to have your dog examined by a vet if you think he is hurt, injured or in pain due to illness. For minor pain which your vet has evaluated and found not to be a sign of anything serious, Aspirin can be used in the short term. However, it's very important to get the dosage absolutely right, and not to give aspirin to dogs over the long term or without talking to your vet first. Buffered aspirin is the safest option. Aspirin dosage for dogs: 5.0 mg - 10.0 mg per lb of body weight, given twice per day. Aspirin can have serious, sometimes potentially fatal, side effects in dogs. It is also NOT suitable for all dogs. 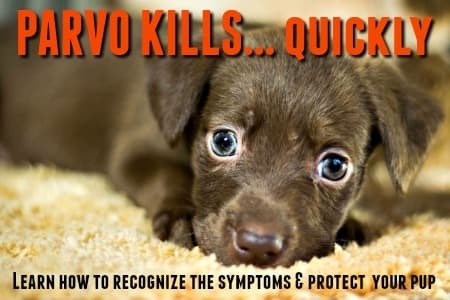 Tylenol's active ingredient is acetaminophen, and it is not recommended for use in dogs, but occasionally a veterinarian will approve it's use. Never give Tylenol to your dog without your veterinarians specific consent. Tylenol dosage for dogs: 5.0 mg per lb of body weight, given three times per day. There are several prescription pain medications that can be given to dogs. But.. you can't just give Fido one of your pills! They must be prescribed by a veterinarian and the correct dosage is vitally important. As with most medications, there are many potential side effects and some of them can be very serious. There is also a risk of accidental overdose which can end in tragedy. Human prescription painkillers which can be given to dogs with vet approval and in the correct dosage include Codeine and Tramadol. Several very popular painkillers that are totally safe for humans are very dangerous for dogs. Some of the most commonly prescribed antibiotics for people are also prescribed for infection in dogs. They are usually considered safe when given under the care of a veterinarian. Amoxicillin is used by veterinarians to treat a variety of infections in dogs. It is generally considered to be the most effective broad-spectrum antibiotic for treating a variety of infections and is the antibiotic of choice for many vets. The antibiotic dosage for dogs is not the same as the dosage for people. 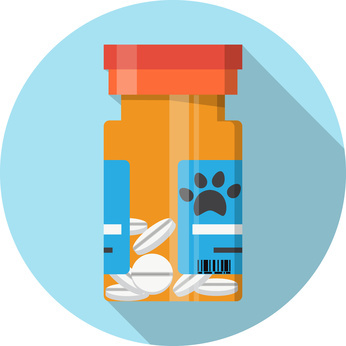 As they need to be prescribed, your veterinarian will make sure that you have the correct dosing information for your dogs size, weight and health condition. Amoxicillin dosage for dogs: An average dose would be 10mg per pound of body weight, given twice a day. Do NOT try to diagnose or treat an infection in your dog by yourself! Penicillin is also a very common antibiotic which can be used to treat infection in dogs. However, it is not always as strong or effective as Amoxicillin in all situations. ... and there are more. Your veterinarian is the only person who can make a decision as to which medication is right for your dog. Dogs get anxious the same way humans do. Fireworks, thunder, car travel... even separation from their beloved humans. All these can trigger anxious behavior and make your dog, and you, miserable. Diazepam is a quickly-absorbed sedative with muscle relaxing properties and is often prescribed and sold under the brand name Valium. It affects brain chemistry and can be used to treat anxiety, phobias and epilepsy/seizures. Valium/Diazepam can also be used prior to surgery to calm a stressed and anxious pet. Side effects of giving Valium/Diazepam to dogs include depressed breathing/respiration, changes in heart rate, sleepiness, loss of co-ordination/balance. Occasionally it can cause aggression in dogs. Dogs with kidney or liver disease should not be given this medication. Diazepam can interact badly with a lot of other drugs including certain antibiotics, anti-fungal medicines and anti-depressants. NEVER give your dog Diazepam without your veterinarian having prescribed it for him. Overdose of Diazepam can lead to unconsciousness and death fairly quickly. Diazepam dosage for dogs: 0.25 - 1 mg per lb of body weight, given every 6 to 8 hours. Xanax is a sedative (drug name Alprazolam) with muscle-relaxing effects and works in a very similar way to Diazepam. It is used to treat anxiety and severe stress-related behaviors in dogs. 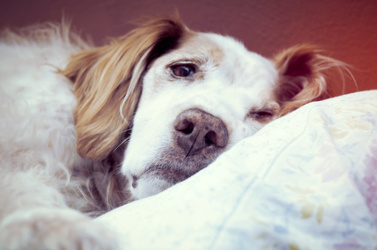 Side effects of Xanax in dogs includes depressed respiration and/or heart-rate, excessive sleepiness, loss of co-ordination, decreased appetite. As with Diazepam, Xanax can sometimes cause unexpected aggressive behavior in some dogs. Dogs with liver or kidney disease or glaucoma should never be given Xanax. This medicine can interact badly with certain other medications including anti-biotics, anti-parasitics and antacids. An overdose of Xanax can cause collapse, loss of consciousness and death. Xanax dosage for dogs: 0.01 - 1.0 mg per lb of body weight, given every 6 to 8 hours. Dosage instructions for medicating dogs are generally measured per lb of body weight (but not always). This video talks about how the contents of your medicine cabinet are the number one poisoning danger to dogs and will give you a little extra help determining which medications are NOT safe for Fido.